Have you seen or gone to any temple where donation is strictly prohibited and you will get free Prasad after Pooja or darshan ? Yes I visited one recently in Uttarakhand where any donation (monetary or else) is strictly prohibited. There are big hoardings and boards showing for this warning. It says that the temple is privately owned therefore no need to offer any donation. 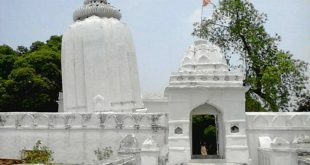 This is a Lord Shiva Mandir [temple] known as Prakasheshwar Mahadev Mandir. 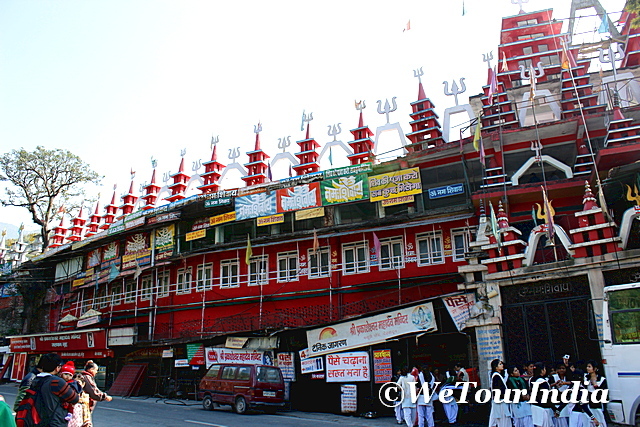 Prakasheshwar Mahadev Mandir is situated in Dehradun-Mussoorie road 12 km away from Dehradun city. 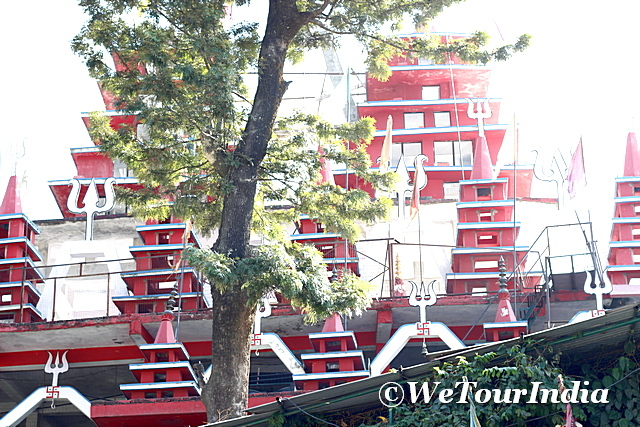 If you are going to Mussoorie, the temple will be just on the right side of the road. Those who know about it generally stops here for a darshan. 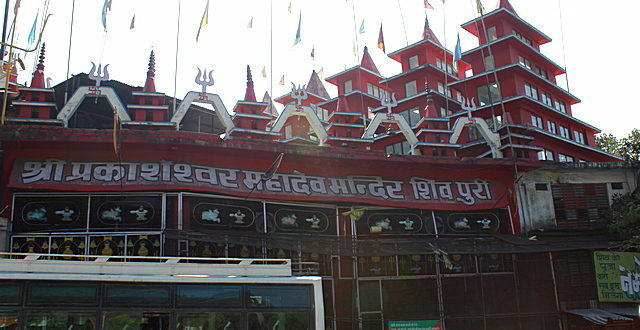 It is a big temple with many spire, each spire has a Trishul and a Flag on it. 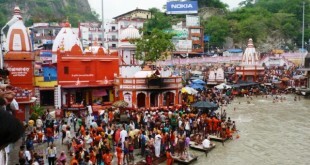 It is a Lord Shiva temple with many Shivlings and a Shiva idol. 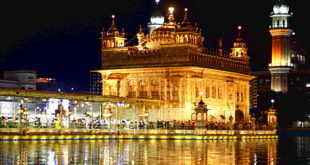 There is provision of pouring water on Shivalings, and many vessels are kept there for that. I found the temple beautiful and nicely maintained. The message by its owner that no money will be accepted in temple makes the temple very unique and one of its kind. There is also a message on board that reads “God gives money to everybody therefore do not offer any donation”. 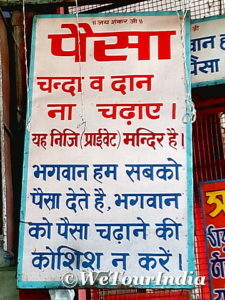 Usually in temples there will be signs and boards directing where to make donations, but this temple is just opposite. The temple offer free Prasad to whosoever comes here, when we visited the prasad was halwa [sweet], Chana and puri and it was purely made in deshi ghee. I came to know that the prasad is served daily and sometimes free langer is also organized. I will recommend all who are visiting or planning to visit Mussoorie, that you must visit the Prakasheshwar Mahadev Mandir once. You will also get very nice view of the Dehradun city from top, just walk down to the cornered road few steps back from temple. Most of the tourist buses also stops here. 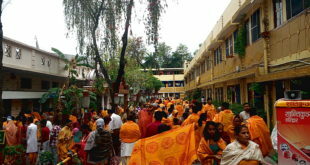 We have seen news about high incomes of Temples due to offerings and donations by devotees. It is a general practice in India to offer some money while we visit the temple for any Pooja or Darshan, and this is being followed by every one of us. 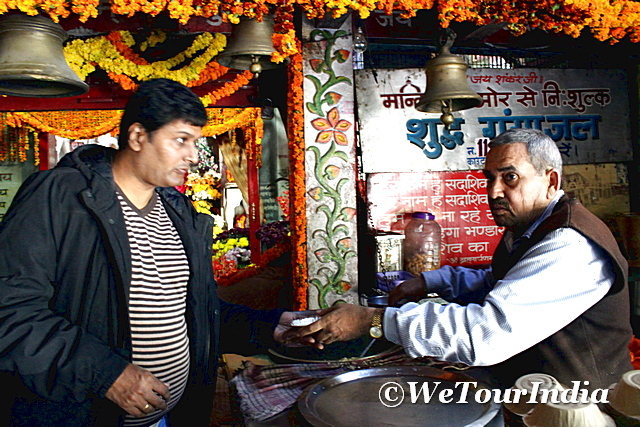 But no body knows where the collected money goes, In Prakasheshwar Mahadev Mandir you need to worry all that. Anyway, after we offered our prayer to lord Shiva and ate the tasty prasad we wore our shoes and moved towards Mussoorie, thinking that the temple is spreading a very good message to human kind.